Warren Stanley Bond, 78, is accused of mailing a threatening letter to Rebecca Boldrick, David Hogg’s mother. NBC 6's Tony Pipitone reports. A Sunrise man is facing a federal charge of mailing a threatening communication to the home of the family of David Hogg, a Parkland shooting survivor and one of the most visible activists in the March for Our Lives movement. 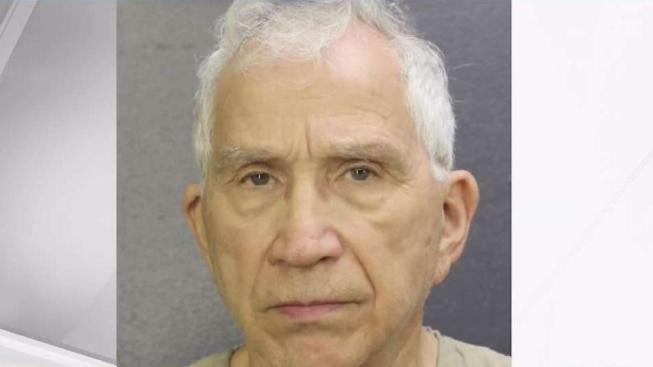 Warren Stanley Bond, 78, is accused of mailing a letter to Rebecca Boldrick, Hogg’s mother, at their Parkland home in June. Last month, Bond agreed to a Risk Protection Order stemming from the same incident. The order, also known as a red flag law, allows law enforcement officers or family members to petition the courts to temporarily remove guns from a person who is a threat to themselves or others. The law was one of several gun-control legislations passed in the aftermath of the mass shooting at Marjory Stoneman Douglas High School. The petition for the RPO states that on June 25, Boldrick and her husband called the Broward Sheriff’s Office to report getting a threatening letter in the mail. According to the report, it was a white, self-adhesive envelope addressed to Boldrick. There was no return address on it. Inside the envelope, Boldrick discovered a white letter-size sheet of paper with ten words typed in large black font. The warning read, "Keep F------ with the NRA and you will be DOA." Since the Valentine's Day massacre, David Hogg, along with several other Parkland survivors, have made countless media appearances, grilled lawmakers about gun reform during town halls, and sparked massive walkouts and peaceful protests at schools across the country. Their efforts have drawn international attention. In November, they were awarded the International Children's Peace Prize for their youth-led organization March for Our Lives. According to the RPO petition, a BSO detective and a Postal Inspector focused their investigation on Bond, and when questioned, Bond admitted he sent the letter. The report says he told the investigators, "Yep! That is exactly what I told her, and you know what, I believe it today." The RPO petition noted that Bond had a concealed weapons permit in Florida and owned a firearm. He reportedly told investigators he had been a member of the NRA but recently cancelled his membership. Bond was arrested Thursday and appeared in federal court. He has no prior history of arrests. If convicted, he faces up to five years in prison and a $250,000 fine. He is scheduled to appear in court again Friday and has told the federal court he plans to hire an attorney. Boldrick told NBC 6 she’s "relieved he was caught. There should be consequences when you threaten to kill someone," Boldrick said in a text message. The Hoggs' home was also the target of a "swatting" prank in June, when someone called 911 falsely claiming to be heavly armed in order to get police to respond to the home.